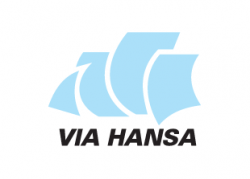 Via Hansa Tours is an inbound Tour Operator, Destination Management Company and Hospitality Service Provider in the Baltic Sea region. Since its foundation the company has become one of the key players in tourism branch in Latvia. Our product line includes various specialized conference and incentive products, as well as classical and innovative products for leisure groups and FITs. The company is catering for around 100 000 guests from all over the world annually. Our experience of almost 20 years and our strong network in the area is a guarantee of the quality of our services.